Withdrawing from your 401(k) account requires specific circumstances. Because of its tax advantages, a 401(k) plan offers only a few options for withdrawing money before retirement. While early 401(k) withdrawals are generally not recommended because of heavy penalties from the Internal Revenue Service, these transactions are on the rise. According to a study conducted by the financial advisory firm HelloWallet and reported in "Time" magazine, 401(k) withdrawals with a penalty increased from $36 billion in 2004 to almost $60 billion in 2010. Pin down whether your hardship status is covered by your plan. 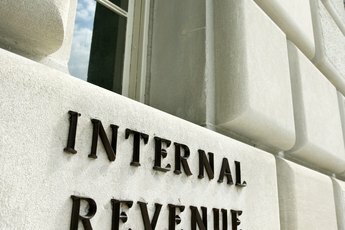 The IRS or your 401(k) account administrator may not agree that your situation qualifies. A home foreclosure, certain medical expenses, funeral costs or educational debt may qualify as a financial burden large enough to warrant a 401(k) withdrawal. Talk to your administrator about the plan's requirements. Contact your employer's human resources department to find out whether your company allows tapping into your 401(k) for a financial hardship. If so, request the necessary paperwork from your HR representative. Gather documentation to prove your hardship. The exact paperwork will vary depending on your 401(k) administrator's requirements. However, it will likely include bank and investment statements, as well as details on the specific hardship. For example, if your home is in foreclosure, you will likely need to give your mortgage statements to your account administrator. Pay taxes and penalties. 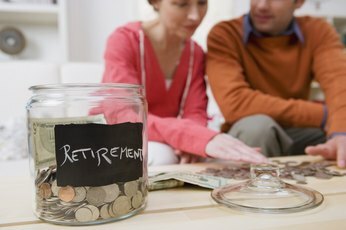 In most cases, you will be required to pay income taxes when withdrawing your 401(k) funds. The IRS may also charge a 10 percent penalty when you empty your account before age 59 1/2. Ask your HR representative whether your plan allows employees to borrow against their 401(k) funds. If so, work with your representative to get the paperwork needed to request a 401(k) loan. Calculate how much money you need to borrow. You will likely not be allowed to borrow more than 50 percent of your vested funds. "Vesting" is the amount of time you need to wait before funds are available in your account. Your personal contributions are available immediately, while your company match may have a vesting requirement based on your years of employment. Pay interest. Even though you are essentially borrowing from yourself, you will be required to pay interest on the loan. Often, the repayment and interest is automatically deducted from your paycheck. Spend the funds. When you borrow from your 401(k), there are no requirements on how you spend the money. Don't borrow from your 401(k) unless it's absolutely necessary, as you will lose the compound interest the money accrues in the account. Not all companies allow employees to siphon funds from their 401(k) because of financial hardship. Not all companies allow employees to borrow against their account. You can't contribute to your 401(k) for six months after making a hardship withdrawal. The Wall Street Journal: What Is a 401(k)? Where Do I Claim a Loan From My 401k? Do You Lose Your 401k if You Are Fired? Can I Use a 401(k) Real Estate Loan to Pay Rent? Can I Borrow From My 401(k) to Buy a Car? 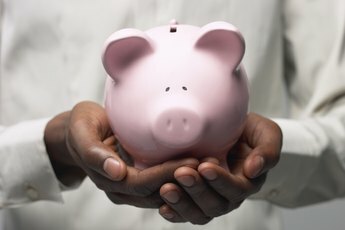 Can I Take Money Out of My 401(k) to Withdraw & What Is the Penalty? Are Withdrawals From a 457(b) Private Subject to Early Withdrawal Penalty?